This is Fay Victor's first album as a leader released on an American label other than her own Greene Street Music, but she is already a star on the New York avant-jazz scene. "Few vocalists have the sheer boldness – the outright fearlessness – of Fay Victor as an improviser. The New York native has long been a creative force on the avant-jazz scene, as a singer, bandleader, composer, arranger, and teacher. She has worked on both sides of the Atlantic with the likes of Misha Mengelberg, Roswell Rudd, and Anthony Braxton, along with recording several distinctive albums as a leader. Reviewing her recent disc Absinthe & Vermouth, NPR declared evocatively that Fay’s original songs sound “as if Joni Mitchell wrote lyrics for a lost Betty Carter prog-rock album – and it totally works.” Fay has also recorded edgy blues in a duo with guitarist Anders Nilsson, and she is an inspired re-animator of vintage instrumentals as vocal material, in the spirit of Carmen McRae in Monk; to this end, Fay has performed with her In Praise of Ornette group and with her house-rocking Herbie Nichols Sung band. 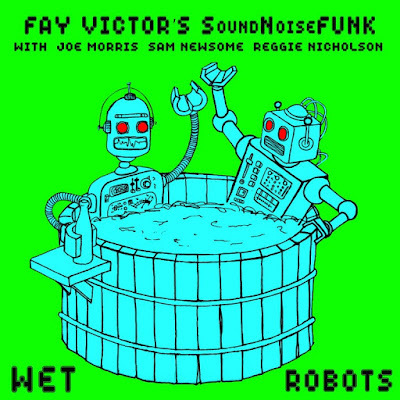 "Now we have on record Fay’s SoundNoiseFUNK quartet, featuring Joe Morris, Sam Newsome, and Reggie Nicholson – each an exceptional maker of music in the moment. 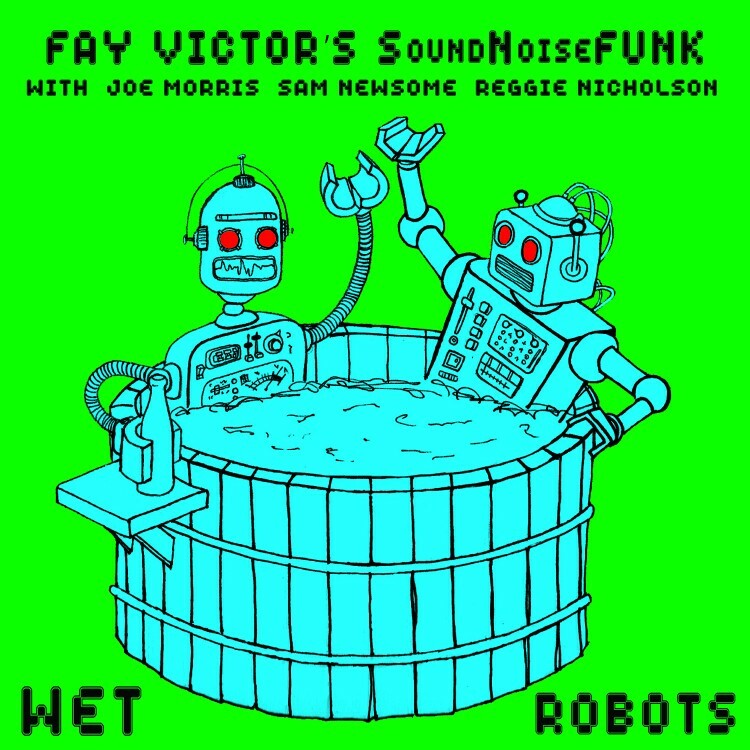 Although Fay enjoyed a rapport with each of these players in various combinations, this foursome had never played together as a unit before the single summer day last year when Wet Robots was captured in a Brooklyn studio. If jazz is the sound of surprise, this album startles – a sonic funhouse of left turns. The band floats in its own space, untethered by a bass. Morris’s guitar moves like a snake. Newhouse keens, taps, sighs on the straight horn. Nicholson makes his percussion set-up a skittering, rattling thing. Then there is Fay – her voice primal and wild, as attuned to unfettered expression as Albert Ayler’s tenor."